Can't buy any of this, but the fall J Crew catalog followed by September Vogue arriving in my mailbox has reminded me that a lot of new merchandise is hitting the stores. I utter a huge sigh when thinking of the following items. 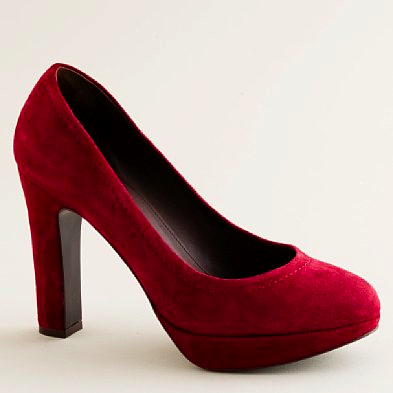 J.Crew Coddington suede platform heel in dusk red, $228. Shown on the foot. Not digging the wool boyfriend's sock legwarmers. That color of red and the forties feel of the low-vamp and the same color platform make for a beautiful shoe. And then there is this bag, which looks slightly worn in and like you could use it forever. Sigh, sigh, sigh. Okay, hopefully posting this will purge these from my consciousness. 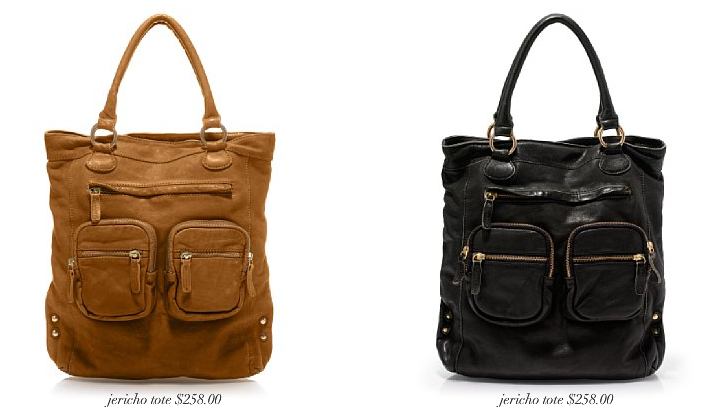 Anyone seen something they are coveting this Fall? Those are lovely shoes! I like that model's jacket as well. I'm coveting the entire Louis Vuitton and Prada collections: I'm such a sucker for that 1950s/1960s look. I'd have to be a lot more put together on a regular basis for such classic dresses! Nice though, for certain, and I can see that being your style. I always covet Marni.